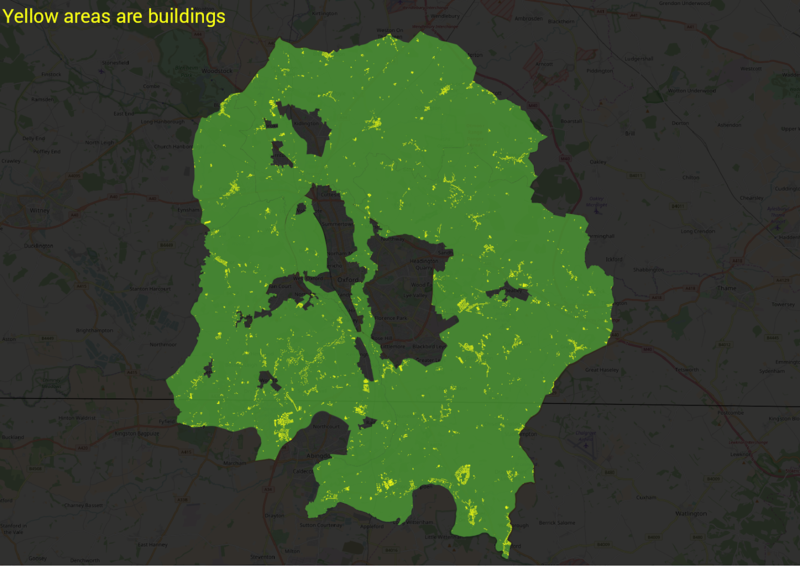 The publication of the Housing White Paper yesterday prompted me to complete something that had been on the back burner for a while - mapping the buildings on England's green belt (or green belts, if you prefer). Before going any further, this isn't a post advocating building on the green belt but rather I wanted to explore the extent of buildings that are already there, in the hope that it might help enlighten me and others. 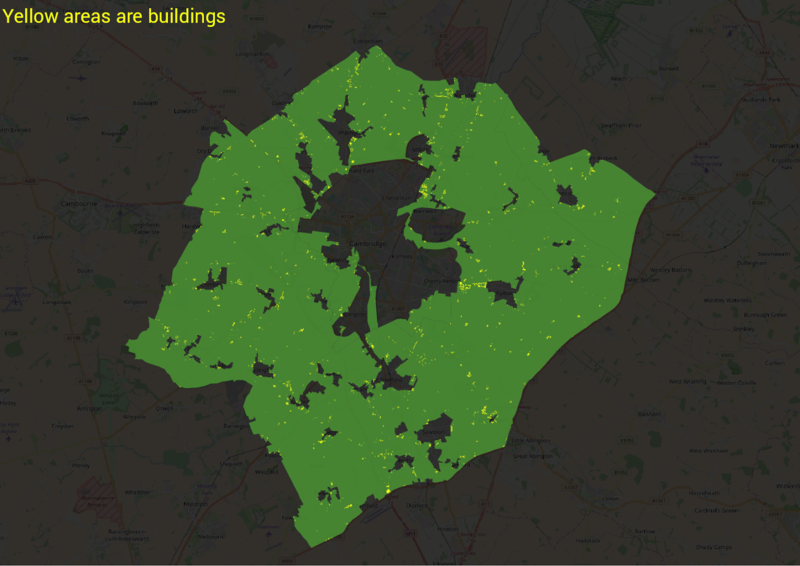 I've previously written about green belt data and tried to figure out how much of each local authority is green belt, so this continues my interest in this area. 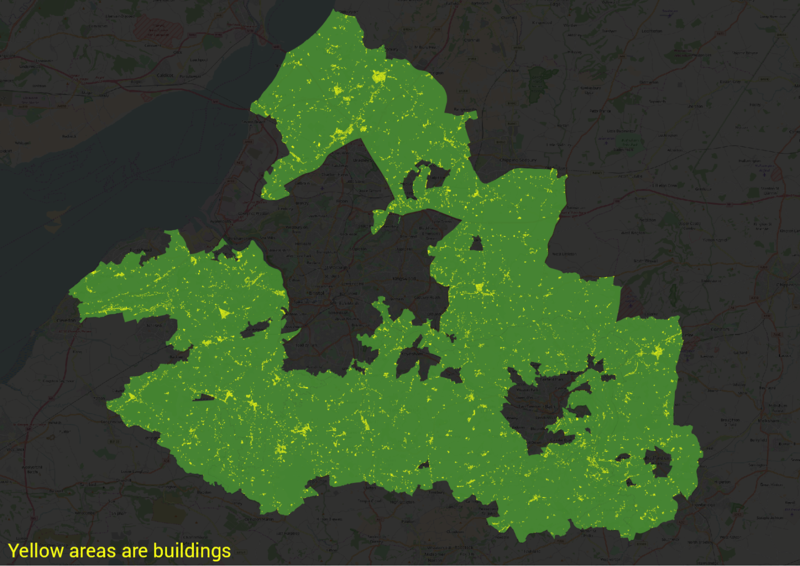 First of all, here's a little map of buildings on the green belt around Bristol. If you want to download the 'buildings in the green belt' shapefile, scroll to the bottom of this post. If we zoom in a little more you can see a little bit more of the detail of the pattern of development in the green belt. I'm not sure how much people know about the level of building in the green belt, but I did note that the Housing White Paper quite rightly pointed out that 'parts of it are not the green fields we often picture' (p. 28). The zoomed in area below is near Bath. 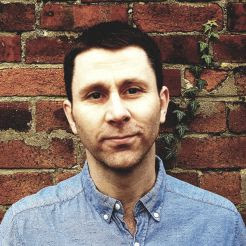 The point here is not to say that there is a particularly high level of development on the existing green belt, or lots of buildings in absolute terms, but rather to show that there are places within the green belt which are perhaps already more built up than some accounts in the media might suggest. Many news stories on 'green belt' also often have pictures of lovely green countryside that is not actually green belt. 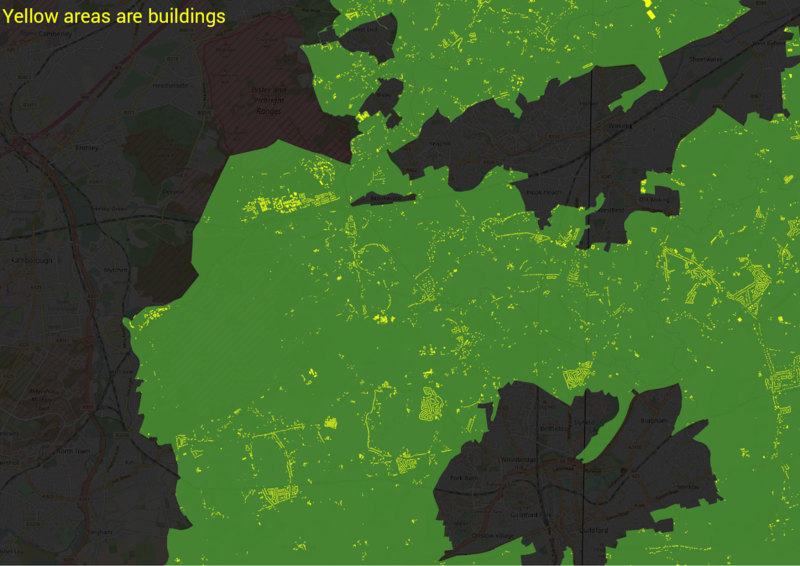 Housing experts and planners are already aware of this, of course, and much of the development can be traced back to before the green belts existed, so this is in part an educational and visual exercise in mapping it all. The next few images cover some other urban areas across the country, starting with Oxford. In the final buildings in the green belt' map below I have just shown buildings without the green coloured green belt backdrop. This also gives you an idea of the level of building in the green belt, although it isn't very high. Finally, in order to put things in a bit more perspective, I've done a zoomed in map of the Gloucester green belt area showing those buildings which sit on green belt and those that don't. I have chosen this because I think it helps emphasise how successful the green belt has been in some places in relation to achieving the aim of controlling urban growth. Data notes: I downloaded the most recent green belt shapefile from the DCLG and then got the building polygon data from the Ordnance Survey open data web pages - the OS OpenMap Local product. 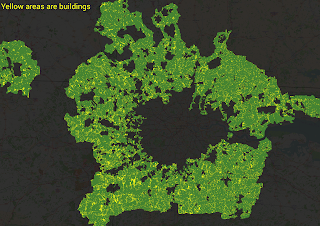 There is green belt in 14 different two letter OS tiles so I just extracted building data where it intersected the green belt. I then merged this into a single file. 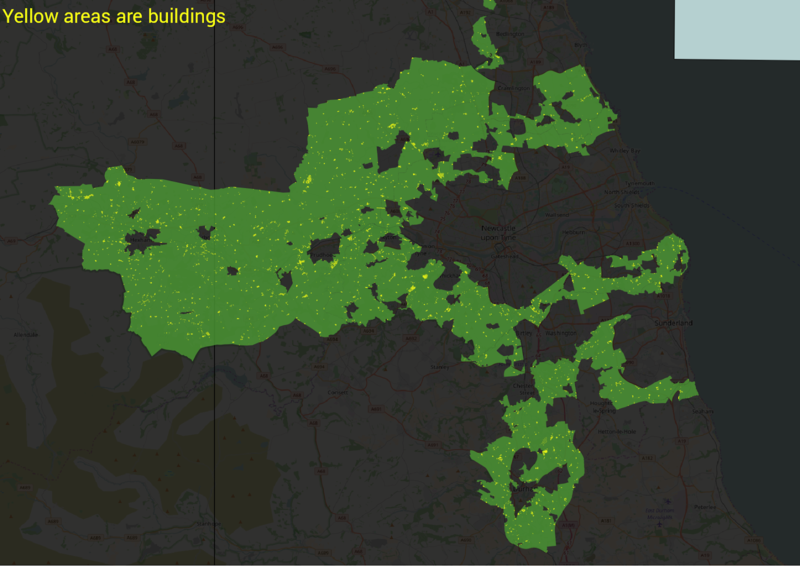 If you're looking for building data for your area, you might find some on my buildings page, where I have joined data for major urban areas and also added the local authority each building sits within. If you just need to know which tile to download, check out my tile finder below. 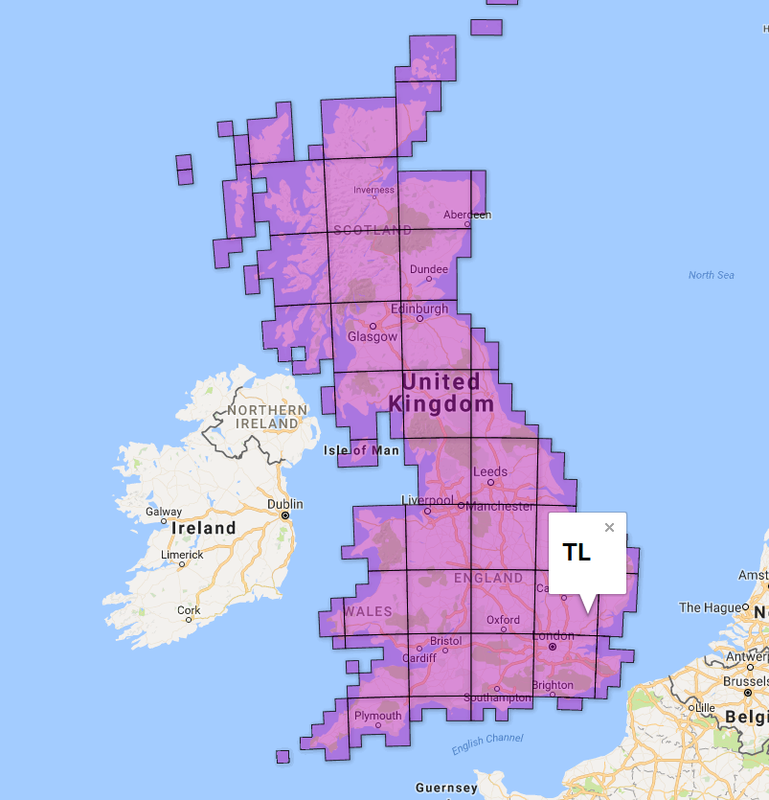 Want to play around with and map this data yourself? 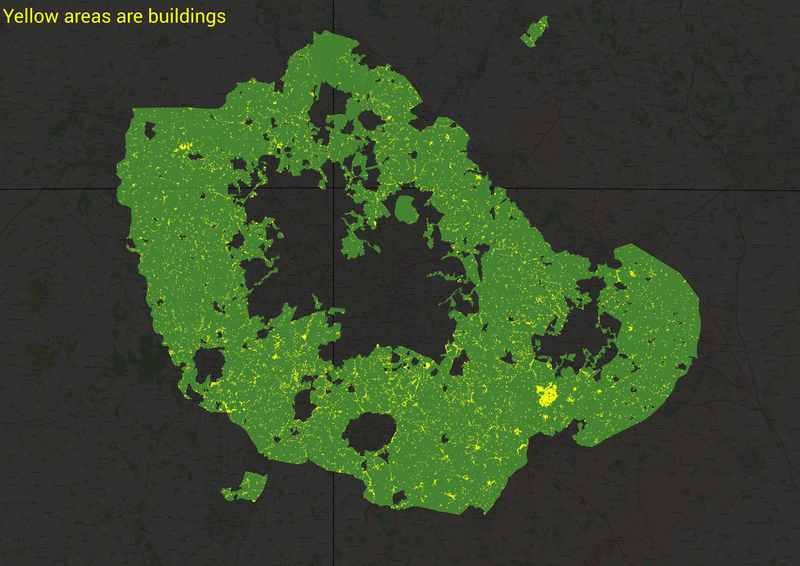 I've made a 'buildings in the green belt' shapefile available for anyone to use. 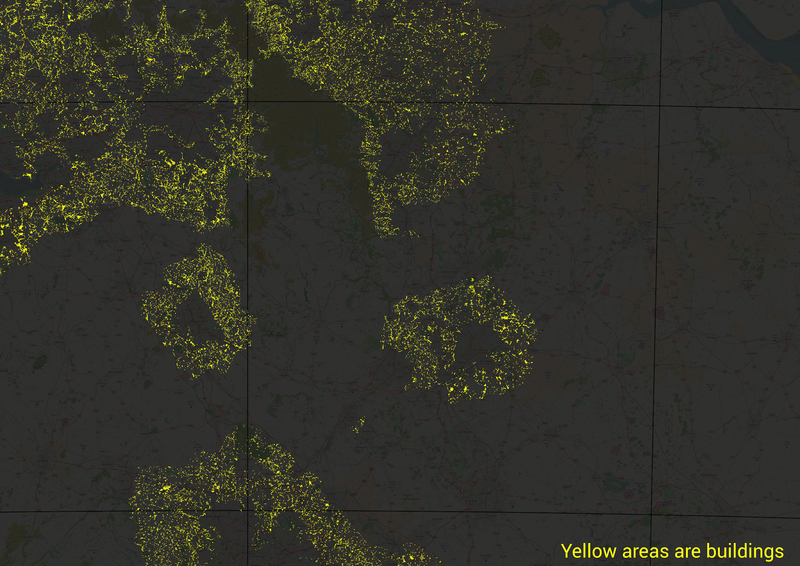 There are undoubtedly some small errors in the dataset, but I've used the DCLG file in good faith here. 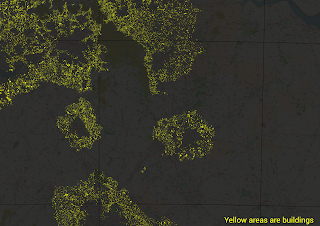 Note that in some places you'll see a large built up cluster in areas of green belt - as in the case of the West Midlands map and Kenilworth above.